Authoritarian states have long tried to suppress dissidents who oppose the regime. But in the age of globalisation, they are increasingly able to mobilise beyond their territorial borders and target political opponents overseas. 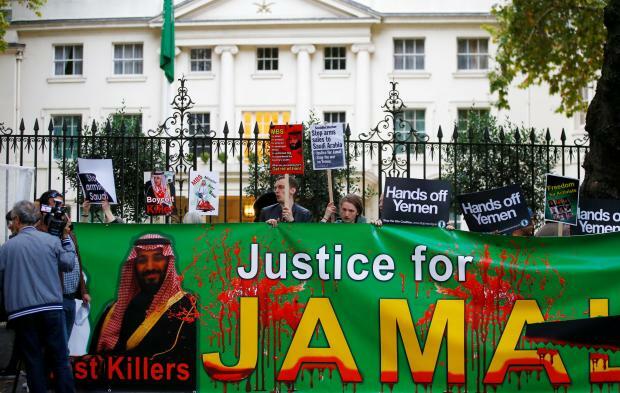 The brutal murder of Saudi journalist Jamal Khashoggi, a former Saudi regime insider who became a critic in self exile of Crown Prince Mohammed bin Salman, is an extreme example of this new reality. Although the precise details of Khashoggi’s murder have yet to be proved, his grim fate – he was allegedly strangled and dismembered by Saudi agents inside the country’s consulate in Istanbul, Turkey – reflects broader patterns of transnational repression. Khashoggi was a controversial and high-profile figure, not only in Saudi Arabia but around the world. He had an international voice and connections with highly prestigious political figures, global media outlets, including The Washington Post, and organisations. And yet this didn’t prevent the Saudi regime from seeking to silence him in a foreign country. So what of other dissident members of the diaspora – those without Khashoggi’s leverage but who still challenge the policies of home states from abroad? Are they any safer? In fact, all politically exiled activists are becoming increasingly subject to transnational repression while their opportunities to dissent, even in the Western world, are becoming more and more limited. The idea that diasporas oppressed in their countries of origin could find political and social opportunities in the West and other liberal democracies was once celebrated. In their new homes, they could benefit from the freedoms of speech and assembly to challenge across borders the governments and policies that had threatened them and their way of life. It was even asked whether diasporas and their newly emerging power in world politics might challenge the very existence of some authoritarian regimes, as happened during the Arab Spring. But recent research suggests that the opposite is now becoming the case. Khashoggi’s ruthless killing is just one example of a broader trend – outlined in John Heathershaw and Alex Cooley’s book Dictators Without Borders: Power and Money in Central Asia – including the widespread detention, kidnapping, murder and extradition of dissidents and their relatives. Of course, dissidents have long been murdered abroad – take the 1978 case of Bulgarian Georgi Markov, who was assassinated with a poison tipped umbrella in London. But the evidence suggests that such acts are now more common. The Central Asia Political Exiles Database, developed at the University of Exeter, demonstrates the drastic efforts of the region’s dictators to silence dissent transnationally. Evidence from Iran, Syria, Azerbaijan, Russia, Turkey and China – where it was revealed the “missing” Interpol chief, Meng Hongwei, is being held – shows how authoritarian states are increasingly adopting repressive strategies to control, extort or manipulate citizens beyond their borders. New technologies and social media not only help opposition groups to mobilise, they also permit authoritarian states to map dissent internally and internationally – and intimidate dissenting voices. For example, exiled journalists from Iran have reported being contacted while abroad by Iranian security agents, who used social media sites to threaten to harm them or their families inside Iran. As research by the CitizenLab at the University of Toronto demonstrates, authoritarian states are also increasingly buying mass surveillance technologies from Western companies. A major report, released in 2014, by Human Rights Watch, They Know Everything We Do: Telecom and Internet Surveillance in Ethiopia, documents how the Ethiopian government has acquired surveillance technologies from several countries and used it against perceived political opponents inside the country and among the diaspora. Authoritarian states further legitimise their repressive actions by branding dissidents “terrorists”. Turkey, for example, has used this pretext to push Western governments towards banning dissident Kurdish organisations and TV channels. There is even evidence that nations are using the Interpol system to target dissidents by issuing alerts against perceived political opponents. According to Fair Trials, Interpol alerts have become weaponised in some cases, by repressive states against exiled journalists, human rights defenders and political activists. Diplomatic cooperation agreements – such as the Shanghai Cooperation Organisation (SCO) – also facilitate the coordination of transnational repression against wanted people. The SCO’s anti-terrorist structure enables signatory states, including Russia and China, to carry out abductions and renditions of some individuals, outside the normal judicial procedures and constraints of international law. Additionally, governments put pressure on the relatives of exiled activists by using them as weapons of retaliation. In 2017, for example, 12 family members of Azerbaijani opposition blogger Ordukhan Teymurkhan were detained by Azerbaijani police in Baku. The arrests were made after Teymurkhan took part in the pro-democratic Free Political Prisoners protest in Cologne, Germany. Similar tactics have been reported in Tajikistan. So what are the implications of such actions for world politics? Where are the red lines for countries that are hosting dissidents and what happens when they are crossed? These questions have yet to be satisfactorily answered, but Khashoggi’s death – and the recent assassination attempt on Sergei Skripal in Salisbury, UK – illustrate the rise of authoritarian power that transcends sovereign boundaries. Globalisation has made territorial boundaries more permeable – for better and for worse. But when authoritarian regimes flout international law and disregard the sovereignty of other countries to oppress those that oppose them, the rest of the world must act.